The Big Button GPS Tracker Mobile Phone features a large key pad and large screen text and a GPS function that allows concerned family members to get instant location details. The phone also features an SOS button that will automatically dial a primary number when pressed. 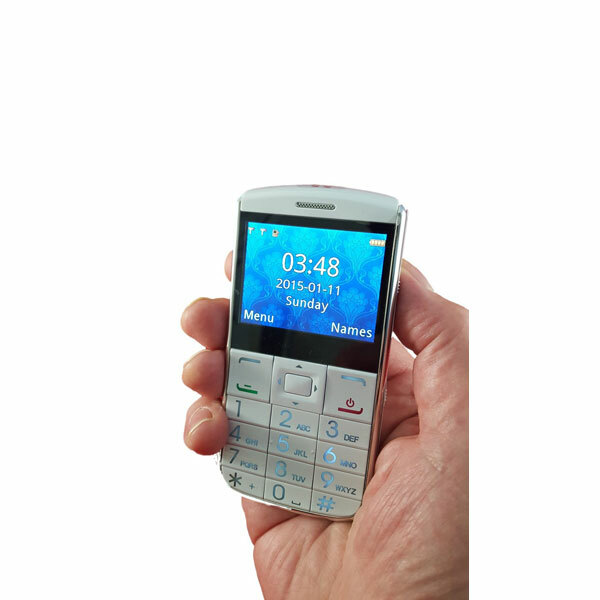 The Big Button GPS Tracker Mobile Phone features a large key pad and large screen text that makes the phone ideal for those who are visually impaired. When the GPS function is turned on the phone provides a journey trail that can be viewed on a website by concerned family members. The phone features an SOS button on the back of the phone which when pressed sends a location text and voice call to a designated primary number. To get instant location details you can simply send a text to the GPS phone and a text will automatically be sent back containing the mapping co-ordinates and a mapping hyper-link which can be viewed on a smartphone.